A group of good government organizations and professional associations on Thursday released a proposal to reform the Senior Executive Service, focusing on improving training, professional development and reserving certain positions for career federal workers. The Partnership for Public Service, the Volcker Alliance and the Senior Executives Association unveiled an SES Joint Policy Agenda, which contains a mix of administrative and legislative reforms to how the federal government handles its upper echelon of career employees. A running theme of the proposal is a need to better support members of the SES through training, professional development and better performance management. “Early and sustained success as a senior executive starts with effective onboarding, but many agencies fall short in familiarizing new senior executives with their roles and responsibilities,” they wrote. The groups called on each agency to create a “robust” training program for new senior executives, highlighting priorities, “important intra-agency and stakeholder relationships” as well as expectations and chances for professional development. The agenda also advocates for better management and selection of federal workers who aspire to join the SES. First, it argues for the creation of a separate career track to retain technical experts while improving the leadership skills of members of the SES. “The SES was originally envisioned as a corps of generalist leaders, but it is also critical that individuals with valuable technical expertise have access to advancement opportunities that do not force them to take on significant management responsibilities for which they may not be suited,” the groups wrote. Additionally, the proposal suggests that executive review boards, which currently oversee the selection of SES candidates, should take a more active role in overseeing the pipeline of future SES members, and the boards should operate consistently and transparently across agencies. And the groups pushed for “rotation programs” that would expose managers to other agencies to provide a broader perspective on leadership in government. The agenda also seeks to stake out SES members as the primary stewards of an agency and its mission by reducing the number of political SES appointees by 25 percent and reserving executive level positions in management for career officials. The proposal also would require training for political appointees when they join an agency, and make them subject to performance management policies. 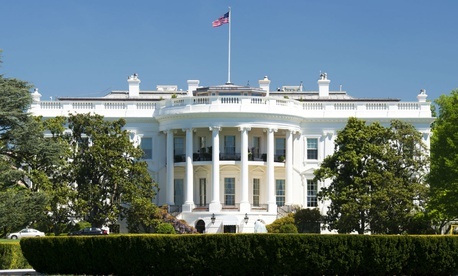 The set of proposals comes as the Trump administration and Office of Personnel Management Director Jeff Pon consider a comprehensive civil service reform strategy. Pon has said he plans to unveil legislation on the topic by November.